Canadian Pot Stocks: Has The Time Come to Invest? The date cannabis is due to be legalized in Canada. In our previous articles we showed you the legal situation in Canada and took a look at the current political climate in the lead-up to Canada becoming the biggest Western democracy in the world to fully legalize marijuana. In reality, there may be delays—it could all take as much as 18 months. Whatever the case, the time is ripe to invest in marijuana penny shares. 3 What does this mean for investors? 5 Investing in cannabis? Jump on in! What we have been showing you is a major industry that is about to explode in value. Let’s be real, however—your granny probably isn’t going to invite you round for her homemade space cakes and not everyone will come around to consuming cannabis! Large numbers of Canadians will though. According to the Canadian Broadcasting Corporation (CBC), in 2015 one in five Canadian adults smoked cannabis that year. The same polls suggested that 30% would become consumers if it was legalized. That’s a total market of more than nine million Canadians and a potential for the market to grow by nearly 4,500%! While medical research does indeed show that a joint a day can keep the doctor at bay, this won’t happen. People will consume it at different intensities and regularity over time. Whatever the case, it is widely understood that the Canadian marijuana industry is set to grow to $22.6 billion in the first year. It will generate tax revenues of $1 billion for the Canadian public purse alone. Some penny stocks today will be worth hundreds of dollars each in the next 12 months. While some businesses will fail, others are set to make their owners multimillionaires or even billionaires. As with all investment there will be an element of risk involved, of course. The marijuana industry is, however, at just the same point in history as Microsoft and Apple were in the 1980’s when only spotty geeks used computers. Founder of Microsoft Bill Gates would retire as the richest man on the planet, and you can’t walk down the street without seeing someone holding onto their Apple product, that they have possibly bought from Amazon which has made Jeff Bezos worth $100 billion. The cannabis industry in Canada has had a long run up to legalization. From the first semi-legal grows in 1999, we now have an industry serving 130,000 users and this is set to grow to nine million in the coming months. Many companies have had time to grow in this time and some are already giants, in one case worth nearly $5 billion already. When you set out to invest you should consider spreading your risk between firm and safe bets and those which might fly high but have a chance of sinking like a rock. While it doesn’t always happen, the big guys tend to be safer bets. Investopedia has a good list of the best market capitalized cannabis companies in Canada. Its highest valued company is Canopy Growth Corp, which has a number of brands under its umbrella including Snoop Dogg supported Tweed. It is currently worth $4.987 billion as of January 2, 2018. This is one of those companies that is set to totally dominate the market—think of buying into Microsoft in the 1990’s just before the internet went big. PharmaCan is currently capitalized at $1.222 billion. It invests in pot companies in Canada and owns outright two companies in this sector. Thanks to legalization the grower industry will explode in value. Growers are set to benefit in every province in Canada, even as some provinces are set to only allow sales through government dispensaries. Emerald Health Therapeutics is worth nearly $564 million and investors saw a 473% return in the last 12 months. Its strength is in serving British Colombia, which is the pot capital of Canada. SupremePharma’s stock value grew by 100% in the last year. Is this due to the volatility in the market as a whole? 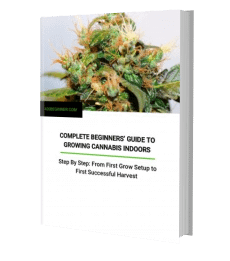 As a well-established marijuana producer, it is set to grow extremely quickly when the doors open to recreational use. Investing in cannabis? Jump on in! There will be people making very fast money when marijuana is legalized in Canada in the next year. That is beyond doubt. Those who brazenly throw sums they can’t afford at any old venture could lose their shirts as they did in the Dotcom Bubble at the turn of the Century. Those who take care, do their research and place their investments carefully in proven businesses are set to see huge returns. Jump on in—the water’s lovely!